1. Inmate Safety-Prisons are not the best environment to deploy kiosks. You want to make sure the kiosk cabinet is of a rugged design. You also want to avoid kiosks which have open wiring terminal blocks inside. Power bricks to supply DC power instead of a common terminal strip lessens the chance for electrical problems, especially is liquid is “accidently” introduced to the cabinet. 2. Privacy-What is the area like where the kiosks are deployed? Is there an issue with inmates taking passwords? You may want to consider the use of privacy screens if your software requires use of a password instead of a card reader or other method to access an individual’s account. 3. Installation-Installation costs are just that…costs. You want a kiosk that can be installed with one person. You need multiple ways to hand the kiosk depending on the mounting surface and you should look for a design that gives you various options on where to introduce electrical conduit and/or hookups. 4. Serviceability-Prisons and jails are not the easiest place to get service people inside to work on a unit. A good kiosk inmate design will use mounting designs that allow you to remove the computer or monitor quickly and do a swap in place to get the kiosk back on line. 5. Rugged components-Almost all of the premier computer companies and monitor companies supply product with standard three year warranties. Insist on this level of quality when shopping for your inmate kiosks. 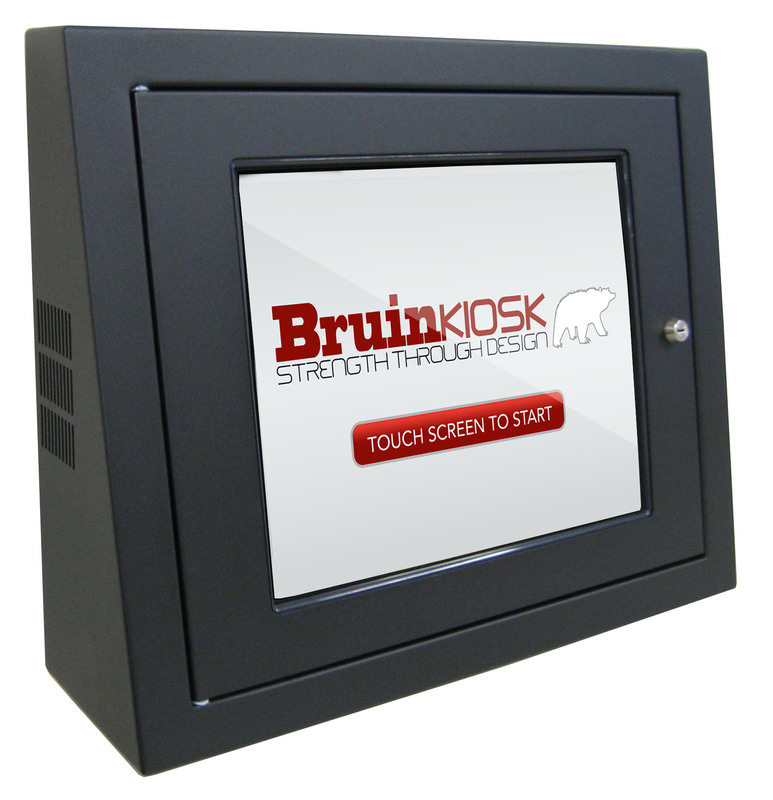 At Bruin Kiosk we have a complete line of commissary or correctional kiosks. Please visit our site or give us a call to discuss your inmate or other correctional kiosk needs. This entry was posted in Kiosk Application and tagged Correctional Kiosk, Inmate Kiosk, Prison Kiosk. Please take the time to review our website and our standard products. If a standard product does not meet your needs, we have the ability to quickly design and produce custom configurations. Copyright 2013 © Bruin Kiosk. Managed by WCG.